Regular health and dental checks are beneficial and necessary for the continued good health of your pet. Animals age much faster than people, so an annual check up for your pet is like a person seeing a doctor every 5 to 7 years. Neutering does more than prevent unwanted pups and kittens – it can reduce aggressive behaviour, may stop roaming and prevent getting infection such as womb infections in dogs and incurable viruses like feline AIDS. Regular vaccinations and boosters are recommended to prevent your pet from getting various infectious diseases. Dogs and cats pick up parasites very easily and it is most important for them to be wormed and de-fleaed on a regular basis. In-house blood tests on animals help diagnose ailments and monitor treatments. Many animals today are clinically obese which can lead to all sorts of complaints. 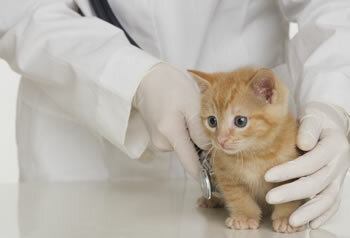 Speak with your vet to get the best possible advice on the welfare of your pet. We perform a variety of surgery every weekday – from general soft tissue type surgery to the more complicated orthopaedic range of surgery. Identify your dog or cat with a microchip. It is a requirement to have dogs micro chipped to obtain your dog license. A must for dogs and cats when travelling abroad and returning home again. From January 2012 new legislation has been introduced regarding pet passports. Click here to read more by visiting the DAERA site about the Pet Travel Scheme.